The Akashic Records are an Alternative Personal and Interpersonal Healing Modality without prescriptions and medications. To learn more, you may select the "Akashic Records" tab in the website. This is a standard one-hour long session during which we explore your past lives, present, and future. During this one-hour reading of your Akashic Records, we will ask the Masters and Teachers questions that focus on your past lifetime(s). This session includes a one-hour Akashic Records Reading followed by an additional hour where you have the opportunity to discuss further the messages you received during your actual reading. We may schedule your Akashic Records Reading at my office or at a particular outdoor location of your choice. Please see "Akashic Records Reading: Special Outdoor Location". This session is the same as the standard Akashic Records Reading: Past, Present, and Future, except that each client receives a discount. When you "Bring-A-Friend" you and your friend will receive a $20 discount when you both book and pre-pay for a session on the same day. You will each receive a full, one-hour reading. This session is ideal for couples and friends spending a day together and supporting each other. Please keep in mind that each session is private and performed individually as Akashic Records in Temecula are accessed separately through a sacred prayer. This means that only one of you will be in session at a time. There are plenty of restaurants, coffee shops, and stores to shop in Old Town Temecula where you can spend an hour while I am in session with your friend. I will let you know when I am ready for your session, should you choose to stroll around Old Town or wait in the small reception area by the elevator. Let's open your Akashic Records under the magic of a full moon and bask ourselves in its energy. A full moon's energy can increase your positive energy but you must be in a calm state of mind to receive these benefits. You may choose your reading to be held on the day/night before the full moon, while it is still waxing —increasing its luminous splendor— or on the following day when it is at its brightest splendor. It is recommended that you reserve your space in advance for your reading the day/night before the full moon or on the day/night of the full moon. A Waxing and Full Moon session is available in combination with an "Akashic Records Reading: Past, Present & Future"; "Akashic Records Reading: Past Lifetimes"; "Akashic Records Reading: With Discussion"; or "Akashic Records Reading: Bring-A-Friend ." Nighttime readings are available. Only one reading will be open at night on the night before the full moon and on the night of the full moon. Location to be determined. This is a unique, magical session to bask yourself in healing energy in a particular location of your choice. We will meet at my office and discuss your selected outdoor location. Your one-hour Akashic Records Reading will also include saging and two meditations. The place you choose must be safe and within proximity to Murrieta/Temecula for your "Akashic Records Reading: Past, Present & Future," "Akashic Records Reading: With Discussion" or "Akashic Records Reading: Past Lifetimes" reading. This is an ideal, exclusive service available to single clients as well as couples. 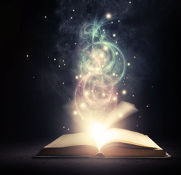 If this is your first Akashic Records Reading, make it magical and memorable. Take your time to pick a location that is serene and special to your heart. Make your day extra special by scheduling a reading for you and your significant other. Together you can select a location that is special to both of you. Each reading will last an hour and be held separately at the site of your choice. Here are some suggested locations for your Akashic Records Reading: a favorite park, your favorite beach spot, Santa Rosa Plateau, an area with a vineyard view, a lake view, or somewhere with a mountain view. This is an exclusive service specifically designed only for local Southern California residents living in the vicinity of Murrieta, Temecula, Canyon Lake, Lake Elsinore, Menifee, and Wildomar. Other nearby cities may be considered, depending upon location and distance. This reading is designed to ask up to four questions, and it is not an in-depth session. This service can be requested for readings of people, pets, buildings, homes or vacant lots. It is an economical alternative for quick questions that do not require an in-depth session. This service is bundled in with any Akashic Records Reading. Any Akashic Records session may include mediumship questions about anyone you know who has passed away.